Successfully Added Handsfree Bluetooth Car Kit with FM Transmitter + USB/SD to your Shopping Cart. Handsfree Bluetooth Car Kit with FM Transmitter + USB/SD - the perfect addition for any automotive enthusiast who wants to add Bluetooth functions without installing a brand new Car DVD unit. With this handy little gadget inserted into your cigarette lighter and your car radio tuned in you'll be able to make and receive calls via Bluetooth and even stream music to your car speakers from an A2DP capable phone. Adding USB and SD card readers is a great idea to so you can use your new Bluetooth plug as a portable MP3 widget too. 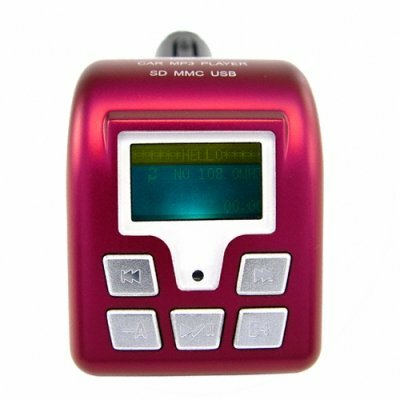 A great FM transmitting Bluetooth gadget available now with a low factory-direct wholesale price - from chinavasion.com!